The opening of dove season is symbolic. It's heralded as the official kickoff to fall's hunting seasons and for many hunters, it's a virtual holiday that's celebrated with good friends, shotguns and grilled dove breasts. So, this week on The Revolution with Jim & Trav, we're honoring all things wingshooting with an exclusive two-part interview with Ronnie Philips and Logan Burditt of Heartland Waterfowl. They'll dish on early goose tactics, decoying and calling sandhill cranes and proper concealment. Then, professional biologist, conservation leader and National Wild Turkey Federation CEO, Becky Humphries, will discuss “Save the Habitat. Save the Hunt.”, plus hunter recruitment and much more. Furthering our wingshooting talk will be Larry Leutenegger, Pattermaster CEO, and he'll touch on their Anaconda and Code Black line of premium choke tubes. Finally, Eva Shockey, author of "Taking Aim: Daring to Be Different, Happier, and Healthier in the Great Outdoors", and co-host of Jim Shockey's Hunting Adventures, will help us wrap-up our broadcast. Eva will look back at her personal struggles, reflect upon her triumphs and ultimately what lead to her hard-earned, tremendous success in the outdoors, and how she's using her stardom to better others. 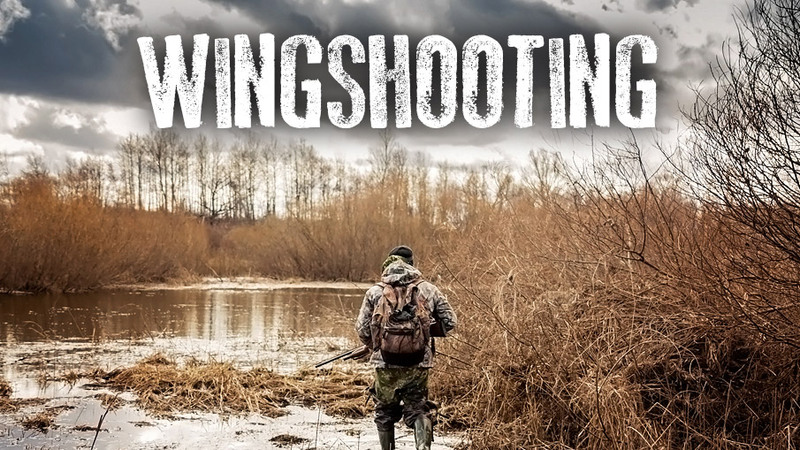 The Revolution and this week's topic of wingshooting, is presented by Outdoor Channel, Sportsman Channel, World Fishing Network and MyOutdoorTV. Early waterfowl seasons are opening across the country and waterfowlers everywhere are anxiously awaiting migrations. Ronnie Philips and Logan Burditt, hosts of Heartland Waterfowl on Outdoor Channel, are fresh off of a North Dakota waterfowl hunt and they join Jim and Trav with tips and advice for other early season hunters. Tune in as they discuss how warm September weather affects hunting and how local populations respond to decoys. Then Ronnie and Logan will talk concealment and explain why it should be a waterfowler’s number one priority. “If a bird’s not decoying, it’s not because your decoys don’t look good enough, they’re not decoying because they see you and they know you’re there.” Tune in for all this and much more, including a look at sandhill crane hunting, as well as how they are using their show to highlight diverse waterfowl hunting opportunities, outside of just Greenheads and Canadian geese, from coast to coast. The National Wild Turkey Federation (NWTF) is a conservation organization that has truly achieved its mission, which was to restore the wild turkey. Still today, NWTF is diligently and actively pursuing conservation missions to enhance wildlife habitat and recruit new hunters. Becky Humphries, CEO of the National Wild Turkey Federation, joins Jim and Trav this week and talks about their “Save the Habitat. Save the Hunt.” 10-year initiative. This initiative aims to conserve or enhance 4 million acres of critical wildlife habitat, recruit 1.5 million hunters and open access to 500,000 additional acres for hunting. While these goals may seem very ambitious to some, Becky says at the half way point of this initiative they are ahead of all of their goals. Then, Becky will talk about hunting as a method of conservation. While many people don’t understand how hunting could possibly help or save wildlife, she’ll dive into the specifics of how the dollars that hunters spend go on to fund conservation programs across the country. Tune in for a very informative and encouraging look at the future of conservation, wild game and hunting. Hitting bookstores and retailers this week is Eva Shockey’s new book, “Taking Aim: Daring to Be Different, Happier, and Healthier in the Great Outdoors.” The new author herself, Eva Shockey, will join Jim and Trav with an inside look at her new book. While most people know her as a huntress, Eva says that this book isn’t just for hunters, it’s applicable for everyone as a way of encouragement to reach outside their comfort zones, take a leap of faith or go against the grain. The book chronicles Eva’s life, upbringing, history and includes her hesitations about jumping into the hunting industry – a world largely occupied by men. However, with encouragement from other women of the industry and a sheer determination, she has been able to overcome stereotyping and other challenges and garner respect and a large following. “I just like being outdoors. I love challenge. I love exercise, fresh air, family. I love eating wild game, which is one of my favorite things about hunting. I think everyone can relate to those things and not feel intimidated.” Tune in for a look at “Taking Aim” available now! Whether you are in pursuit of doves, ducks, pheasants or geese this fall, you should be using a choke tube to maximize your effectiveness in the field. Larry Leutenegger of Patternmaster is here this week for a look at the science behind their choke tube design and how to properly select the right tube for the game you pursue. Larry will explain how Patternmaster has developed their choke tubes to reduce shot string from 15-20 feet, in conventional tubes, to only 2 to 3 feet. The result of a tighter shot string is the ability to hit whatever you are shooting with maximum payload and energy. Tune in as Larry offers his expertise in choosing the right tube for the job.